Like many of you out there, I believe in the Gospel of Root. 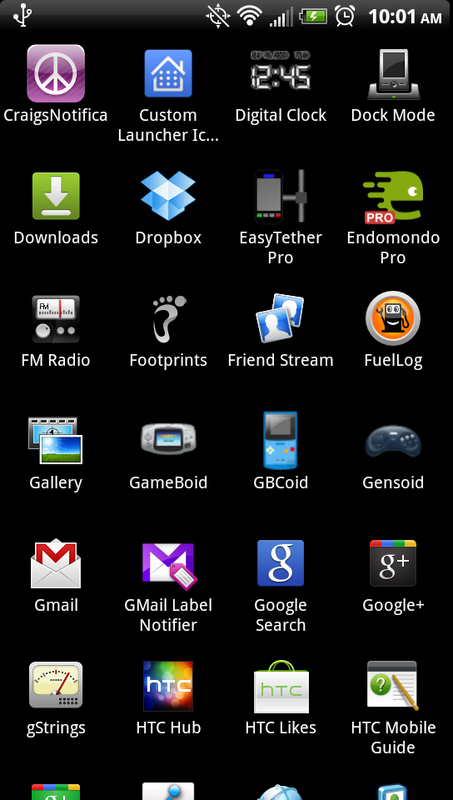 The first thing I did when I picked up my EVO 4G was root it and stick CyanogenMod on it. My phone was fast, utterly Senseless, and if I needed it, available to tether in a pinch. Because of that, apps like EasyTether seemed like a waste. Then I picked up an EVO 3D. Root went away, but I still had internet. No big deal. Then I moved and the internet wasn't going to get turned on for another day. I broke down, bought EasyTether, and wanted to see if it was worth it. In short, it totally is, especially if you're not rooted and never plan on going that route. There's not a lot to say about EasyTether, except it just works. From the get-go, Polyclef Software's app has you taken care of and walks you through the few (and simple) steps to get your phone tethered. The first time you launch the app, it'll ask you if you have the desktop component installed on your computer. Choose no and you're taken to a list of operating systems to select. You'll download the desktop installer straight to your phone. From there, plug in your phone, install the program off of your SD card, and you're in business. Your computer will add another hardwired modem called EasyTether Network Adapter (if you're on Windows, at least), and you're all but one step away from a contract-free, rootless tether. All you need to do is make sure your phone is in USB debugging mode and plug it into your computer while you're running the desktop client. Just don't forget to make sure you enable USB connections from the app's menu on your phone. From there, you can use your phone's 3G to surf the nets as your normally would. But what if you have 4G, you ask? Oh, that works too. I actually found that out on accident (I put my phone on 4G so I could talk and surf at the same time) but it definitely jolted the speeds when EasyTether was connected and my phone's 4G was turned on. So that's definitely awesome. Overall, I couldn't be more pleased with EasyTether, even if I'm not using it now that the internet has been installed. For a one-time fee of $9.99, I can have free internet anywhere I go, hassle free. I can see this being a boon for anyone, but especially if you travel frequently and don't root your phone, you'll probably save a load at airports and hotels. I know next time I go out, this is what I'll be using. A few more pictures and download links are after the break.